Can't you just imagine walking among these soft and sweet flowers? 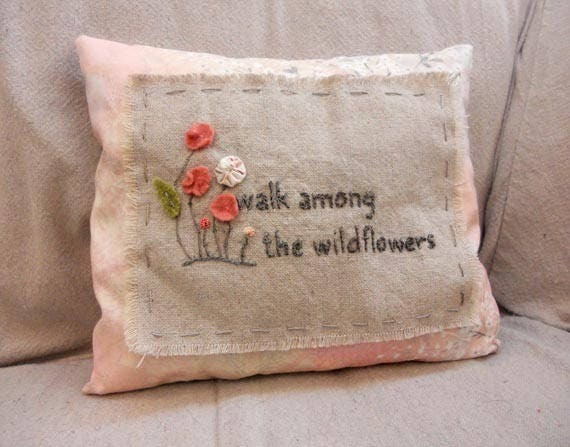 Daydream about summer as you stitch up this lovely little pillow. The gentle colors in this pillow make it the perfect addition to any spring/summer décor. Perfect for your porch, sunroom, or the bench by the window. 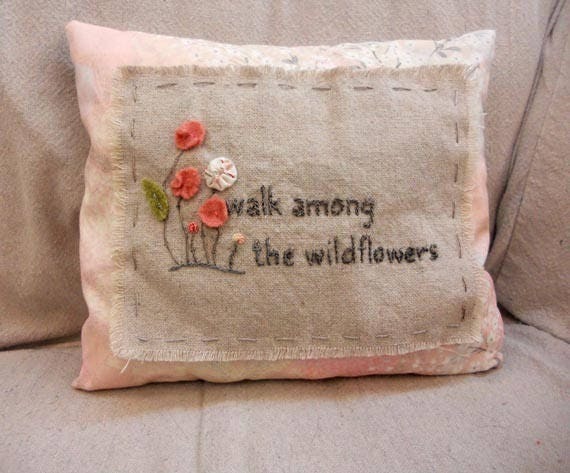 Pair it with simple white shams or our "Springtime" pillow for added punch! refer to your favorite stitch guide or check out our Embroidery Supplies section for our favorite embroidery books. Kit includes: Front, back, painters' cloth, threads, wool, and pattern. Wool may vary slightly since it is either hand-dyed or vintage. Threads used are EdMar hand-dyed rayon threads which vary by lot.